There are estimated to be 35-40 million moles in the UK and the mole that lives with us is known as the common or European mole. The correct or Latin name is Talpa europaea. They are phenomenal diggers and can shift 540 times their own body weight of earth and tunnel up to 200 metres per day. Since they are rarely more than 150mm in length, weighing in at between 110-120 grams, this is one mean feat. Moles are industrious hard workers. Typically they work in patterns of 4-hour shift cycles. This means 4 hours working, 4 hours sleeping; all day every day. So, within a 24-hour period, they will work 3 shifts of 4 hours respectively. If we did that, how industrious we would be! There is a common misconception that moles are blind. They are not. They are light sensitive. Their ears are situated internally behind their shoulders, so mole’s snout acts rather like a sound tube. Sensory hairs strategically placed on their body also help mole to navigate in the darkness. Moles eat worms, grubs and larvae. Therefore within taxonomy they are classed within the order Eulipotyphla (subfamily Talpinae), formerly Insectivora. They need to eat around 20 worms per day, or half their body weight in order to survive. If they cannot collect that quota from their current run system, they will carry on digging new runs and hence continue to throw up new mole hills above them. Mole is a native species to the UK and is the only pest not introduced by man. If you want to learn more, why not come and learn with us on one of our courses. The metaphor ‘a mountain out of a molehill’ may have first appeared in William Roper’s ‘The Life of Sir Thomas Moore’ in 1557, where a corruption charge against Sir Thomas was overturned: ‘Thus was the great mountain turned scant into a little molehill’. At the turn of the twentieth century people believed that if the molehills were picked up on St Sylvester’s Day (31 December), the moles would not throw up earth again and that if a mole threw up earth during a frost, the frost would disappear in two days. People in the late eighteenth-century believed that if you held a mole in your hand until it died, your hand would acquire healing power. A nineteenth-century cure for ague (a fever commonly associated with malaria), was the powder made from a skinned and dried male mole. Until the twentieth-century, it was believed that the blood of a freshly killed mole, dripped onto warts, would cure them. In the twentieth-century, as recently as 1971, mole’s hands and feet were still carried in bags, around the neck as remedies in the Fens in Cambridgeshire. They were believed to protect against toothache epilepsy and rheumatism amongst other illnesses and ailments. Today, however, the practice of using moles in medicine has been banished to distant history. Save yourself this kind of stress and call one of our mole catchers instead. 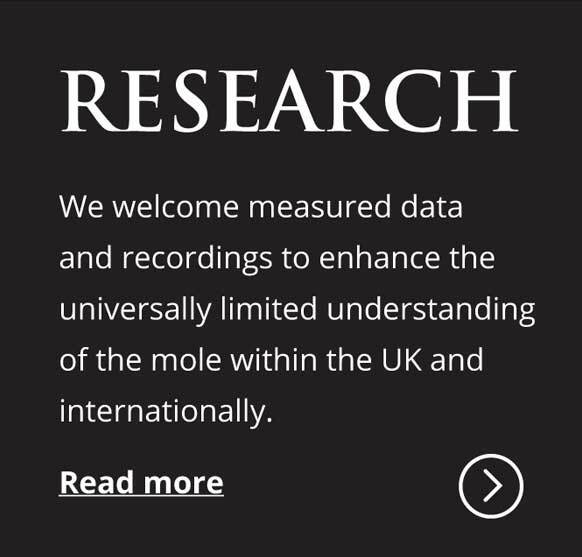 Please mention British Mole Catcher’s Register, when you do.